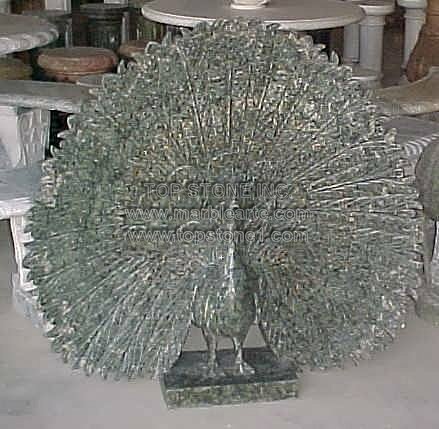 Description: TSAL106 - Dark Peacock is one garden sculpture that can also be set up as religious art in temples and holy places. As lawn statues, this piece makes a great welcoming garden ornament. The marble artist has truly outdone himself with this yard statue that is a simplistic yet intricate piece of art.With intricate designs embossed onto this wellspring of feathered bird, these cheap garden statues can be yours from a pick of the many art statues that can be found at a marble art gallery or you can buy marble statues online.